Radiocarbon dating produced a family tree which premise supporters said illuminated the affects of competition, climate and Aboriginals. The conclusion was that the El Nino--Southern Oscillation was the cause of the marsupials' demise. 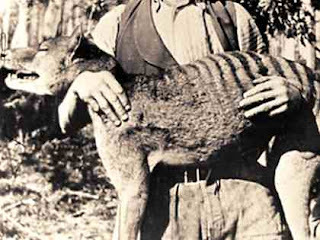 Of course, this is absolute rubbish - why weren't dingoes wiped out as well?